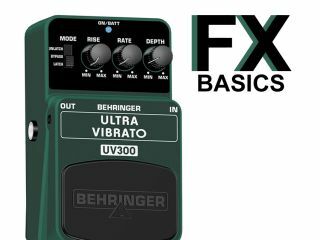 Guitar FX basics: What is vibrato? This video lesson focuses on vibrato. Vibrato is where the pitch of a sound is continuously varied, slightly sharp then slightly flat, over time. This results in a similar effect to using the vibrato arm (often misleadingly called a tremolo arm) on a guitar. Listen to the video below to hear how this sounds.